to George: acutally Sean is correct, Al Kukla did make a few appearences last year 2007) DRIVING a (truck) factory stock at Auto City Speedway. They mentioned how he was an old verteran driver from back in the day. We have not seen him back out yet, but that does not mean he might not show up this season. Also, the Whistle Stop is a perfect place to grab a good home cooked meal. The owner (Mike & his wife) are truely hospitable and friendly folks. Just a small spelling correction. The local race car driver''s name was Al Kukla. He was seriously injured later in a sprint car at Dixie Speedway. His sister Marie married my brother. 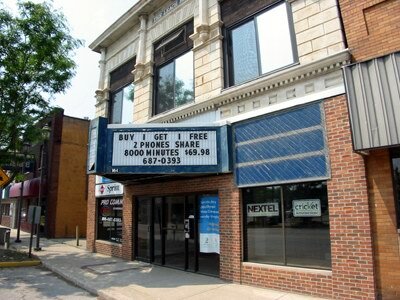 I have been trying to recall the name of the Gem Theater''s owner in the 50''s and 60''s. I believe he and his wife owned and operated it. If anyone remembers it please respond. George Wylieghwylie@gmail. com. i stopped in at the Whistle Stop cafe next door and had a sandwhich on my way to Auto City Speedway last night. 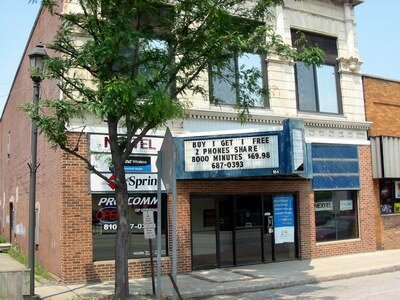 the older waitress had great info on the theatre which she wrote down and i will post. She also had great info on Al Kookla who raced at AC. The Whistle Stop has a great Turkey on Rye w swiss. mmmmm. The Gem is now a cellular phone store.